It sounds too good to be true—a private, once-a-week, 25-minute full-body strength workout. Just you and a trainer in a private, low-key workout studio. You have probably discovered that we lose muscle as we get older, and if we don't replace the muscle, it is naturally replaced with fat. Weight training has been proven to help reverse the process, as well as increase BONE DENSITY, metabolism, cardiovascular function, glucose tolerance, and balance. No pulsing music. No juice bar. No social scene. The Workout Garage is all about a focused, core-strengthening, one-on-one full-body workout. Our slow-motion, high-intensity workouts are done on top-quality weight machines and customized to each individual, and any physical limitations are taken into consideration. (We have clients with hip replacements and knee replacements.) Each session consists of single sets of continuous motion reps on each of The Workout Garage's "Big 5" weight machines. Sessions last about 25 minutes and need to be done only once a week. 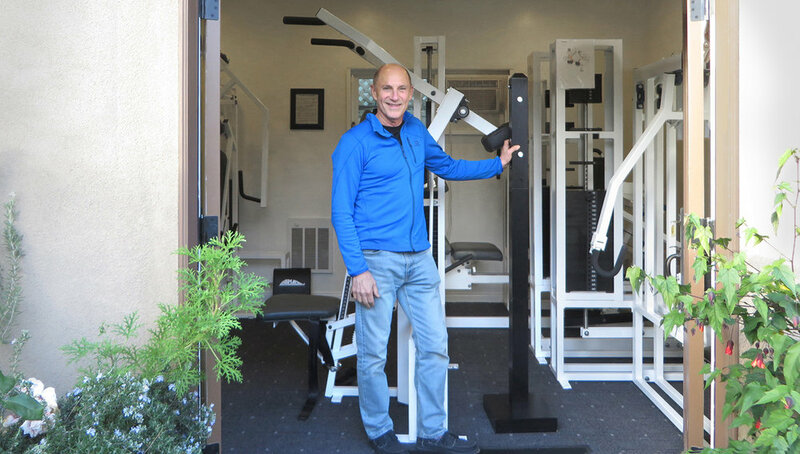 The Workout Garage is a comfortable, air-conditioned studio located in a former garage behind a home in the Alphabet Streets of Pacific Palisades. Access is easy from Santa Monica and Malibu. Scheduling is very flexible, and sessions are usually available Monday through Saturday from 6:30 a.m. until 5:00 p.m. and evenings and Sundays by appointment. 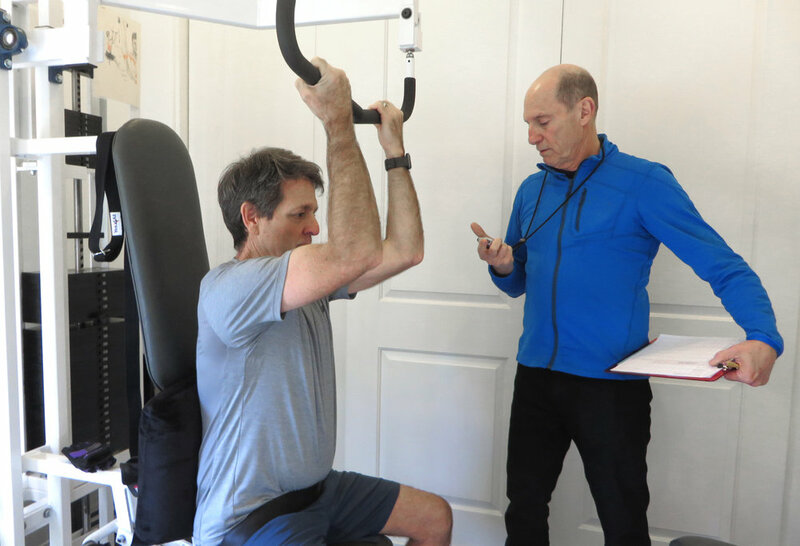 Jeff Grossman is certified as a Personal Trainer by the American Council on Exercise. He is also certified to specifically conduct slow-motion, high-intensity weight training sessions. He regularly trains between 35 and 45 clients a week. Monday - Saturday: 6:30 a.m. - 5:00 p.m. Single Sessions are available for $75.